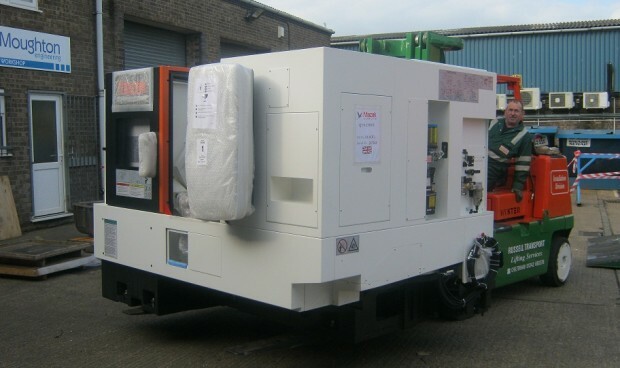 Moughton Engineering Limited Machine shop moves on again with new MAZAK QTN250MY-2 Machining Centre. With the continual improvements being made to ensure Moughton Engineering remains at the top of its game the Machine shop has started phase 2 of its refurbishment and modernisation program. Today has seen the arrival of a state of the art MAZAK QTN250MY-2 Machining Centre. This new equipment, along with further acquisitions due in July and later in the year, will see the Machine shop expand into additional building space being made ready in the current units on Faraday Road. This continued investment in equipment and employees by Paul Moughton will only show that Moughton Engineering is a 21st century machining establishment with the resources and experienced employees to provide products of quality to meet any Customer requirements.